1. Mix the ingredients for the drumstick marinade and cover your chicken throughly. Then place in the oven at 180 degrees for about 20 – 30 minutes, but make sure it is thoroughly cooked through before eating. 3. Sauté the finely chopped leek in butter until soft, add diced potatoes and finely chopped carrot, adding salt and pepper and nutmeg. 4. Stir frequently so that it doesn’t stick to the pan, adding more butter or olive oil if the mixture dries up too much during the process. Beat the eggs with cream and add the parmesan (optional). 5. When thoroughly mixed fill a previously greased cupcake tin with this mixture, add more cheese on top if you like and cook in oven at 180 C for about 15 minutes until slightly brown. Cool a little and take out the cakes carefully from the tin and serve. Delicious and easy accompaniment to meat and fish dishes. 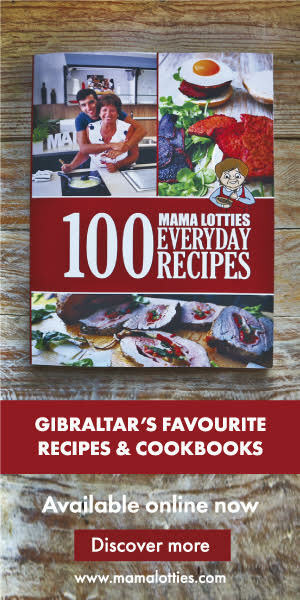 Next articleMama Lotties’ Gibraltar Inspired Cookbook – Now on Sale!